The Los Angeles Rams are going to the Super Bowl after winning the NFC Title game against the New Orleans Saints. They pushed through a 13-0 deficit and won after a 57-yard field goal in overtime. But despite the odds, the high stakes game ended with a shocking turn of events. After trailing the Saints most of the game, the Rams finally tied late in the fourth quarter. It was in the last moments of the fourth quarter that came one of the most controversial missed calls in NFL history. While at the third-and-10 at the Rams’ 13, Quarterback Drew Brees threw a pass to Wide Receiver Tommylee Lewis who ran a route toward the right sideline. Before the ball arrived, Rams’ Cornerback Nickell Robey-Coleman, with his back to Brees, took down Lewis before the ball got to him. He also appeared to make helmet-to-helmet contact with Lewis in that run. 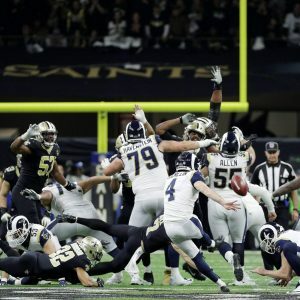 The officials in the game did not penalize the Rams for the pass interference, which caused a wave of shock and anger amongst the crowd at the Superdome. 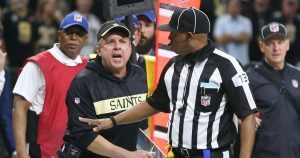 Saints head coach Sean Payton argued with referees on the sideline, livid at the missed call. It resulted in Saints kicker Wil Lutz kicking a 31-yard field goal with minutes left in regulation to take the lead over the Rams. The Rams then got the ball and Kicked Greg Zuerlein scored a 48-yard field goal with 15 seconds remaining in the fourth quarter to tie the game at 23-23. With both teams now in OT, the winning coin toss gave the Saints the ball first. 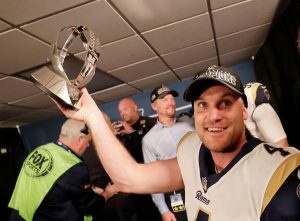 In overtime, Rams’ Greg Zuerlein made a 57-yard field goal in overtime that not only gave the Rams their first lead, but the NFC championship, ending the game. The LA Rams are heading to the Super Bowl. 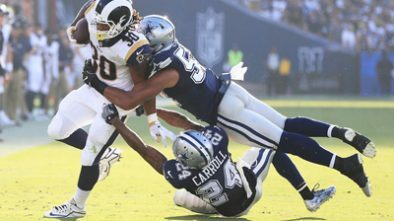 With the controversy surrounding the Rams’ win, the missed call soon flooded the internet, airwaves and TV as fans, officials, players and critics shared their thoughts on the game judgment call. 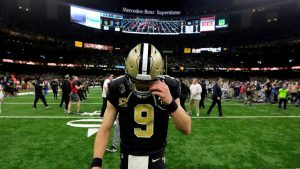 ESPN analysts say that had interference been called, the Saints would have had a new set of downs and a chance to run the clock down before attempting a short field goal with less than 20 seconds remaining. But what happened instead was the Rams tied the game and forced overtime to beat the Saints with a 3-point field goal to head to the Super Bowl. 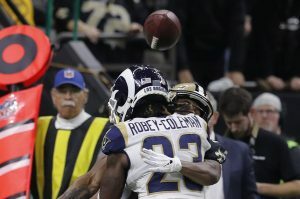 With many Rams fans happy with the ending, many football fans say that the missed call was the most egregious call in history and changed the course of the NFC title game. 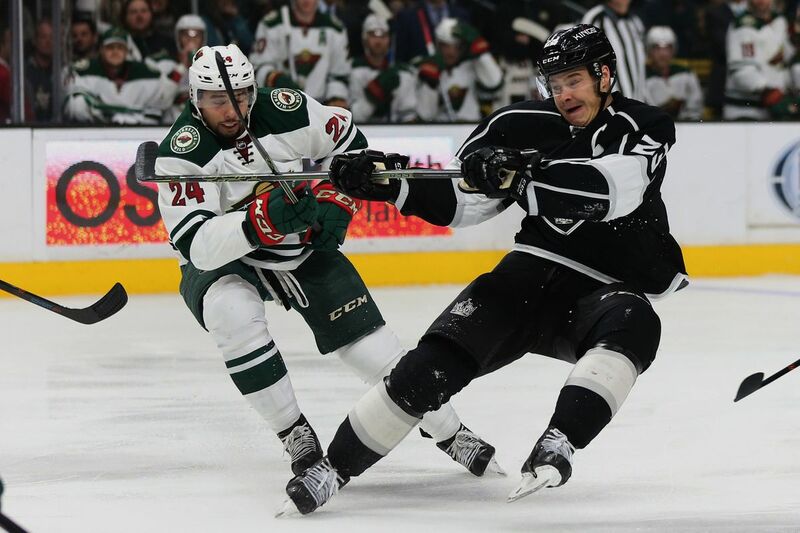 Analysts commented and said that changes are expected to be made for referees but it still doesn’t take away from the fact that officiating mistakes still happened in the final moments of such a tense game. The Los Angeles Rams will play the New England Patriots in Atlanta on Feb. 3 for the Super Bowl Championship…their first time since their 2001 season.